Motherboard manufacturers are having to become more savvy in their line-ups for a couple of reasons. First, the amount of integration present in the latest chipsets takes much of the play away from them, and second, the days of routinely charging more than £200 are fast coming to an end. 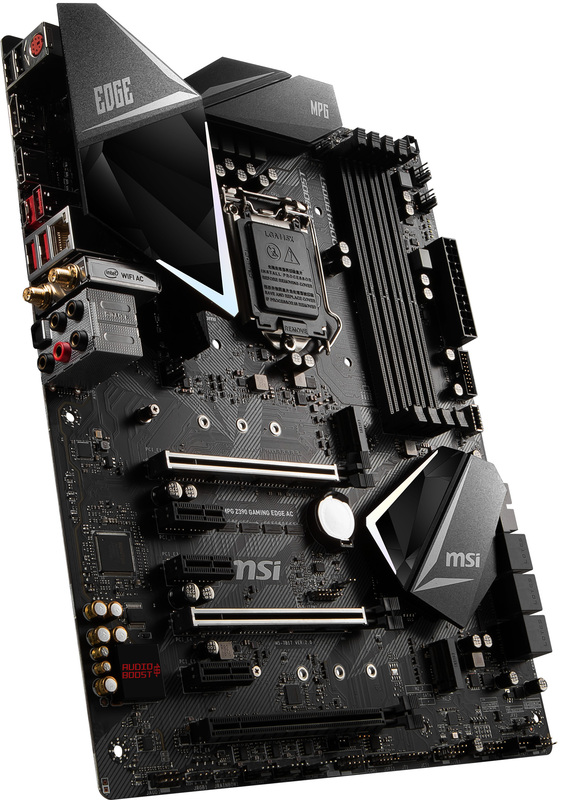 Thinking of the premium mainstream chipset from Intel, the Z390 - which is able to support the impressive Core i9-9900K chip - makes a lot of sense if designed into a solid motherboard costing around £150. 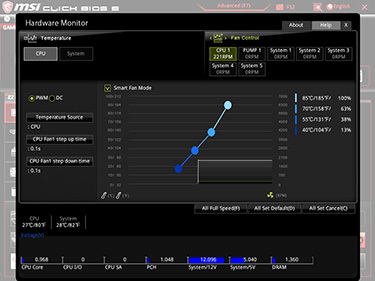 The MSI MPG Z390 Gaming Edge AC is born from exactly this line of thinking. 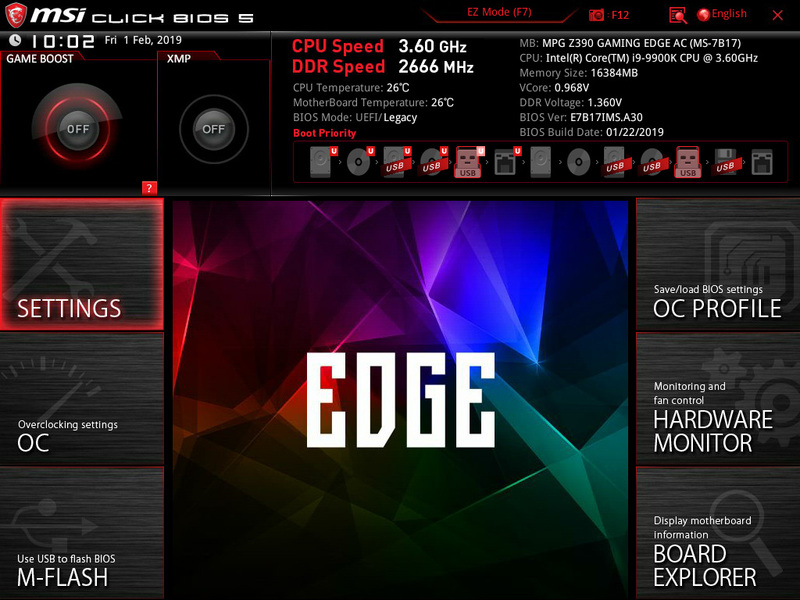 Let's focus on what MSI does outside of the goodness from the chipset. 12 RGB LEDs line the bottom edge, but they are neither that bright nor spaced correctly, in our opinion, because there's a significant gap underneath the 24-pin power connector. 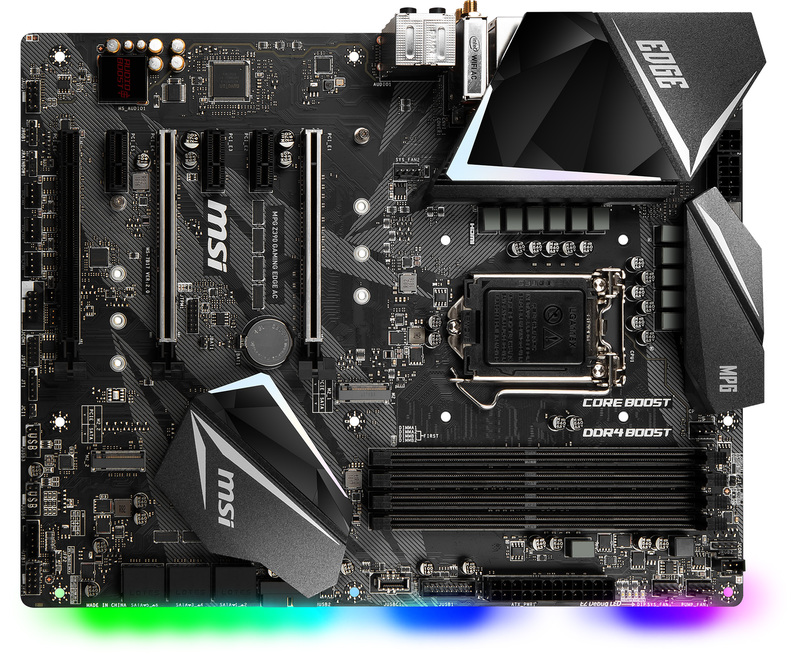 With no other board-mounted RGB present the MPG feels lopsided, though you can add extra lighting bling via a couple of JRGB headers supporting 5050 12V light-strips. These are sensibly located on the left and right edges of the board for maximum coverage. If that's not enough, next to the left-hand header is support for individually-addressable (WS2812B) 5V strips. 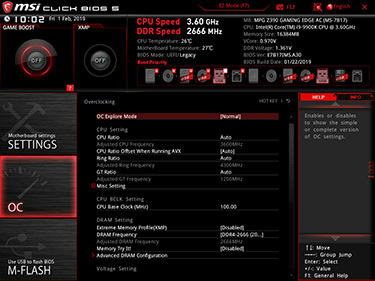 Keeping costs in check means that all USB is provided by the Z390 chipset, and handily includes a 3.1G2 Type-C for easy connection on premium modern chassis. In a somewhat unusual move, MSI augments the standard 8-pin power connector with an extra 4-pin, presumably to provide adequate juice for an overclocked Core i9-9900K. 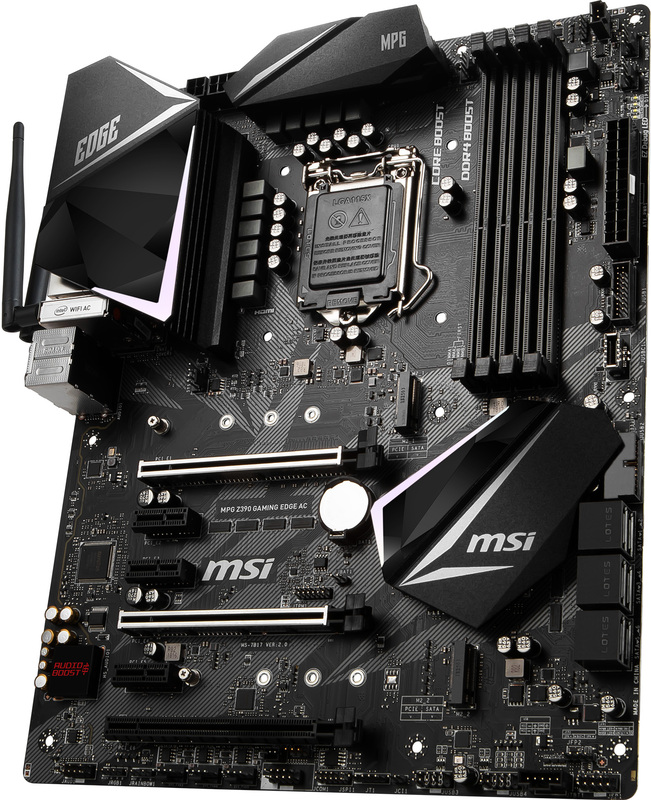 The heatsink design is above average for a board in this pricing area; both make good contact with the components underneath, are screwed in, and the larger, left-hand one is multi-stacked for maximum heat dispersal - it's interesting to note that MSI has gone with a reflective, accented finish to amplify any RGB you may have in the system. It's a shame that the Gaming Edge AC hasn't been able to introduce an integrated I/O shield; the heatsink design is crying out for it. Appreciating that M.2 cooling is all the rage right now, it's surprising to see the board ship without dedicated heatsinks; even one would have sufficed and not increased costs by much, though the company's Pro Carbon, the next model, does include one. 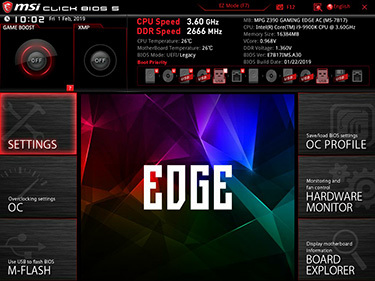 Rather, the money is spent on strengthening two PCIe x16 slots, and the board supports two-way SLI and three-way CrossFire. We like the decent amount of gap between all slots, too. Is it too much to ask, perhaps, for a debug LED at this price point? 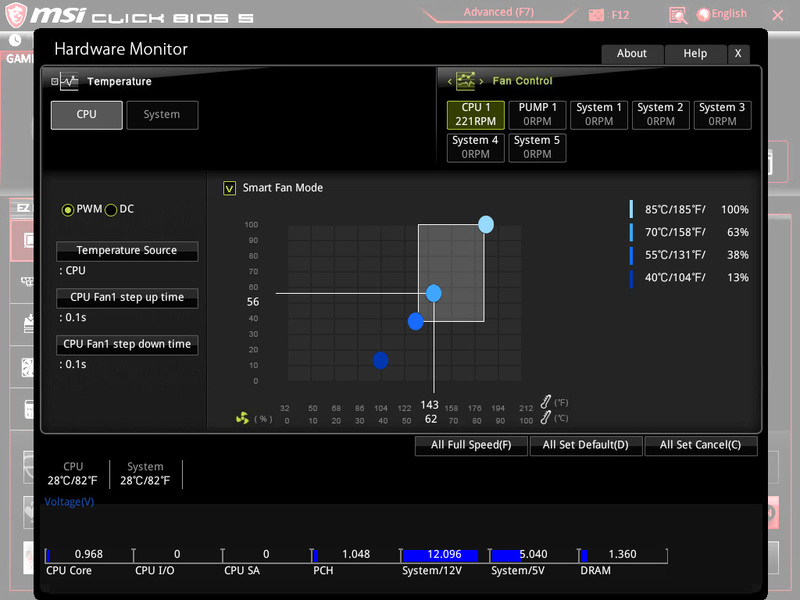 Perhaps, and MSI makes do with four small diagnostic LEDs near the DIMM slots. USB 3.1G2 support is offered up via both Type-A and Type-C - sensible, again - so we'd give the board a general thumbs-up from a features and implementation point of view, given the £150 price point. 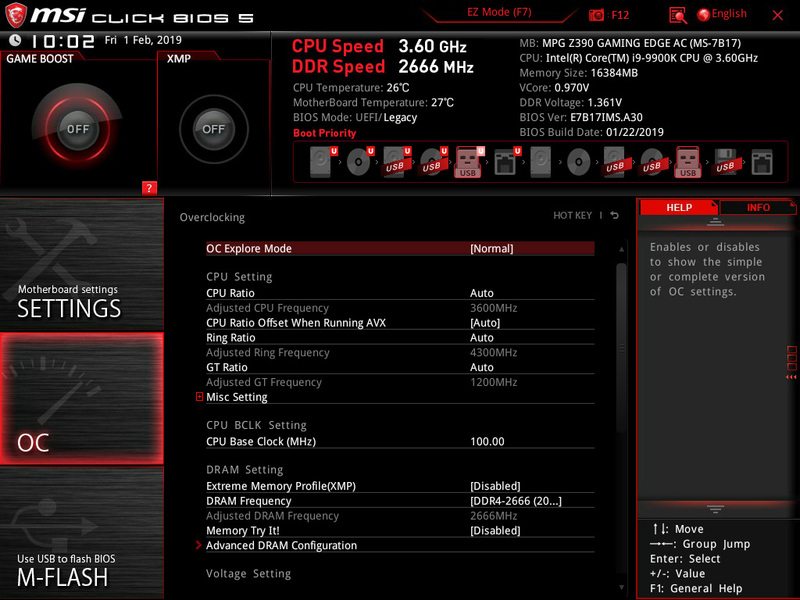 MSI's Click BIOS 5 is good in some respects, lacking in others. We still don't like that you have to reboot out of it to update the BIOS, which takes a while, but the rest is up to scratch. 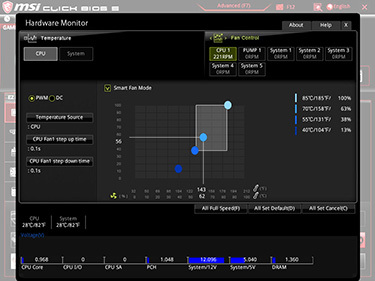 There's no funny business as far as setting the turbo frequencies - MSI applies the correct bins and TDP at default - while fan control is solid. All in all, MSI makes safe choices in constructing this mainstream board. A dedicated M.2 shield is our main reservation. 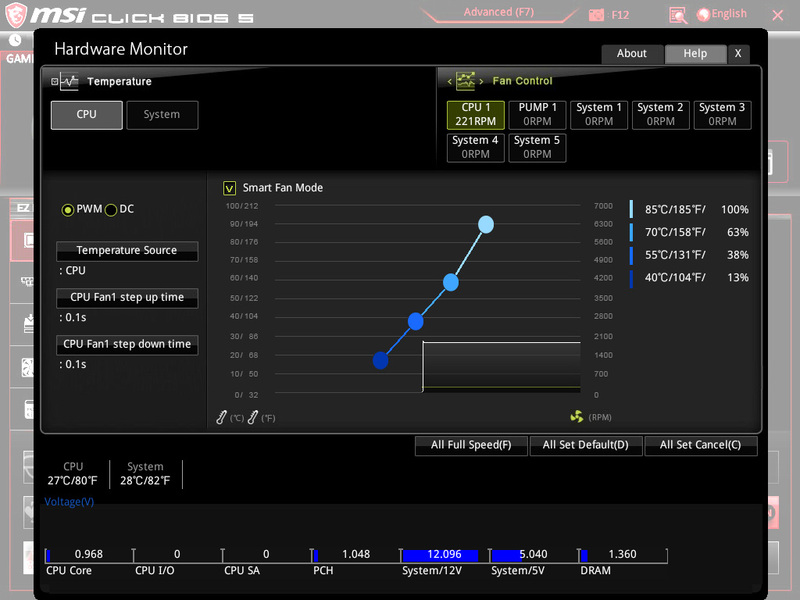 Let's now crack on to the benchmarks.